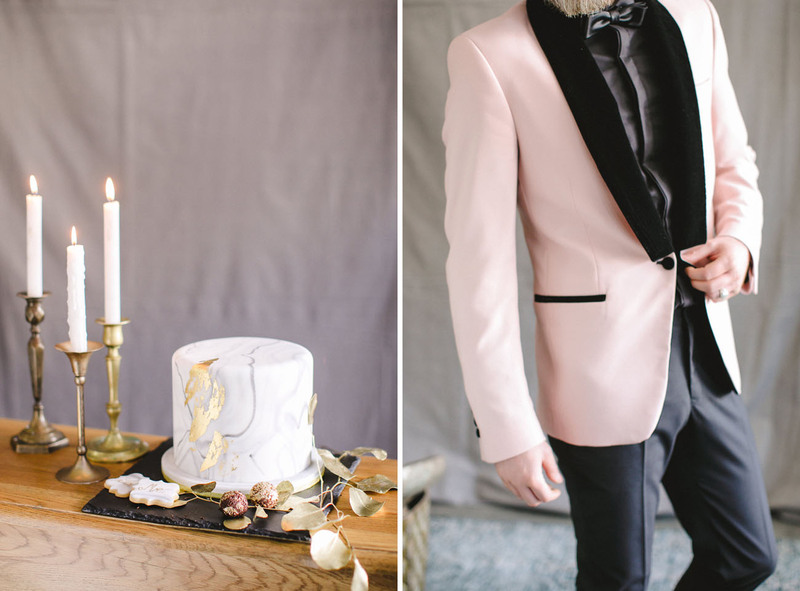 A Saint Valentine’s Dinner for Two + A Groom in Pink! While every day is a reason to celebrate love, it’s still fun to dream up a sweet little something for Valentine’s Day. Don’t you think? 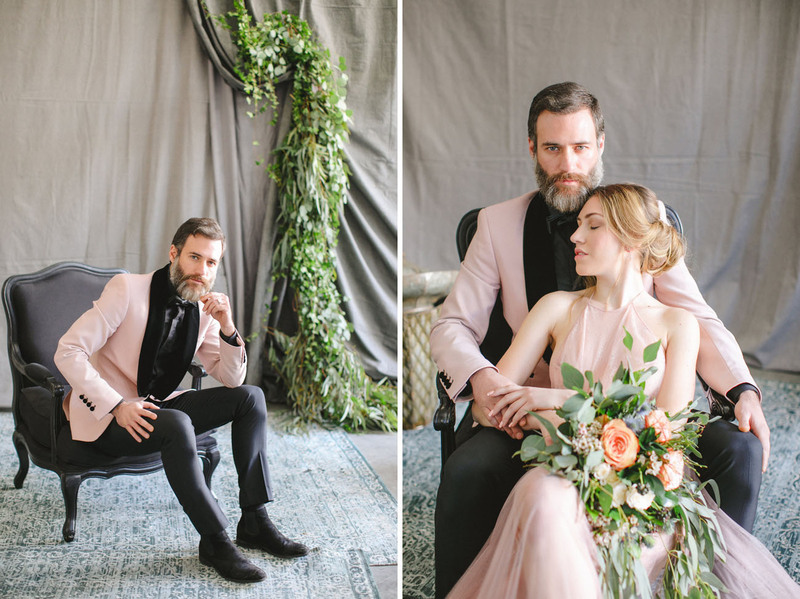 Well, inspired by Pantone’s 2017 darlings, this sweet + sensual Saint Valentine’s Day dinner for two features swatches of greenery + salmon pink! 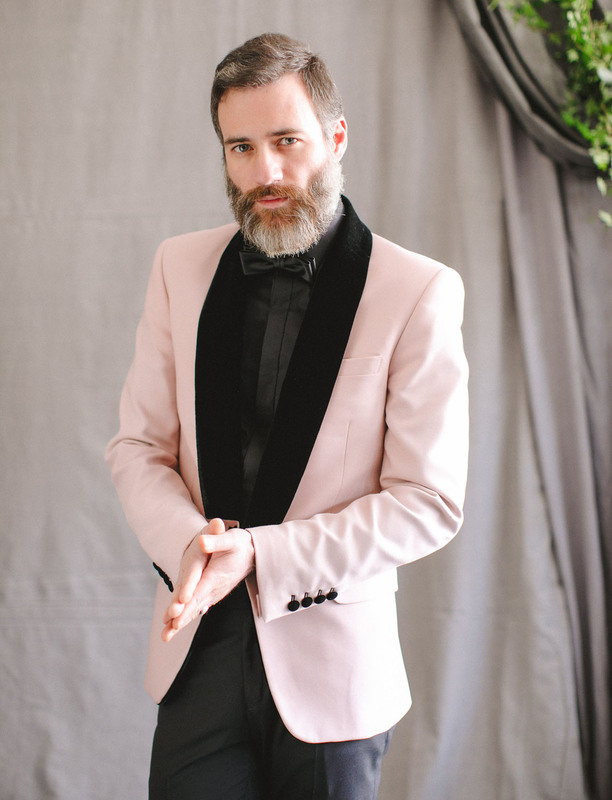 Even the groom is wearing pink — how fun is that?! We think this proves that staying in for dinner can be just as much fun as going out! 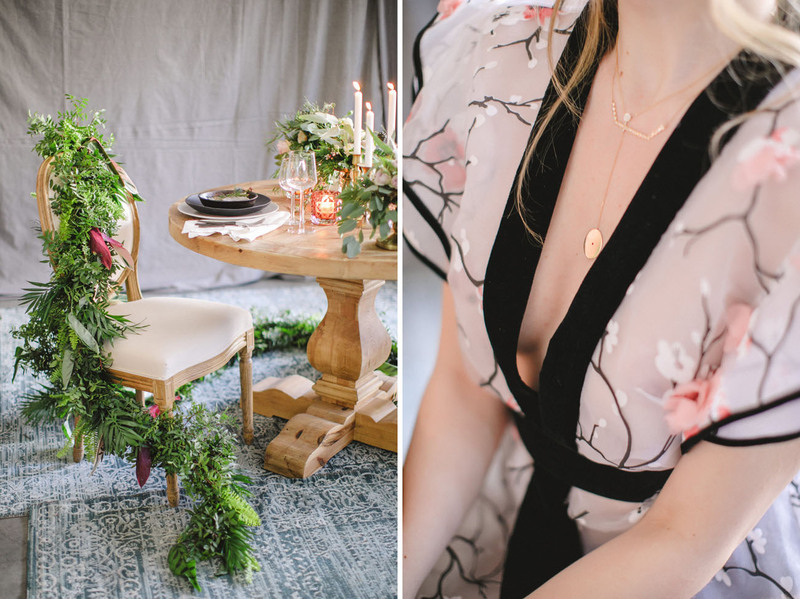 Sent over by photographer, Anna Roussos, this styled shoot is brimming with lush florals + a ton of romance! 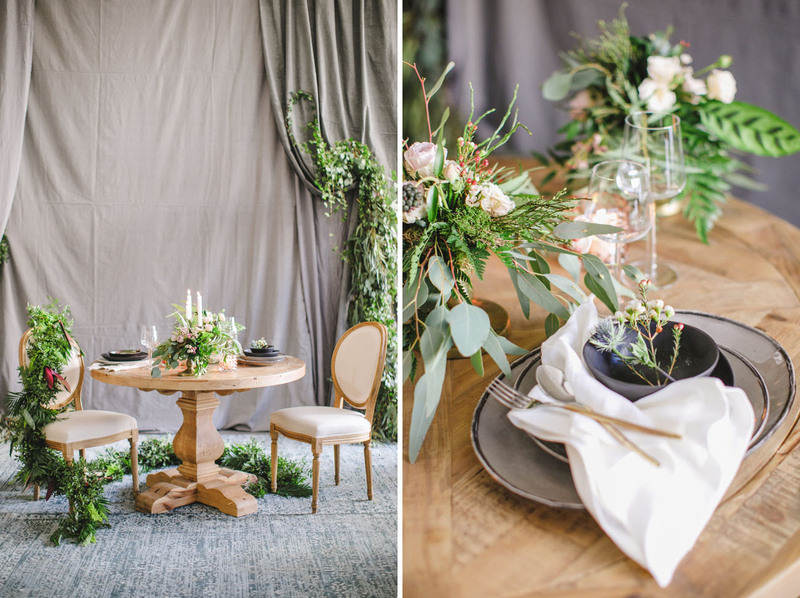 Designed by Nicole Kapakian and Ariana Mouha, the dinner setting takes on a luxe quality with touches of gold, alongside all the greenery by The 12 Events. 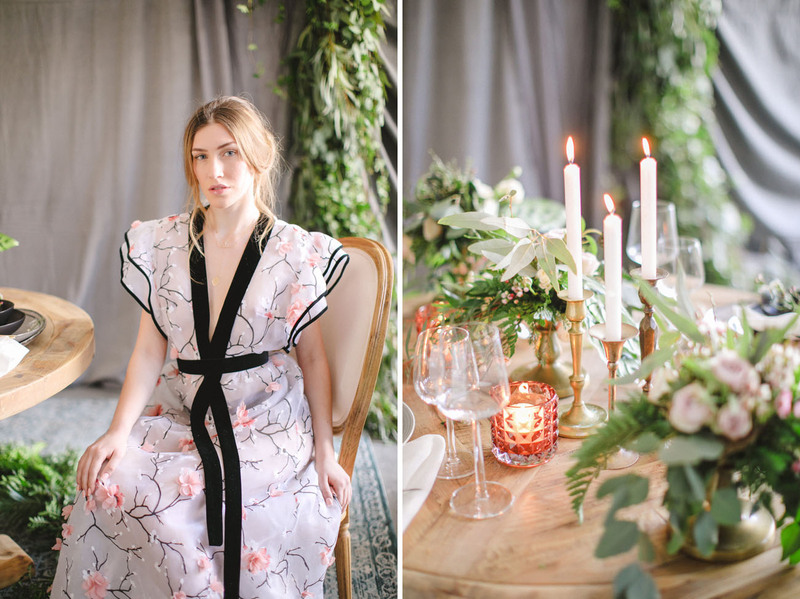 So ethereal + pretty… Want to know a little secret? 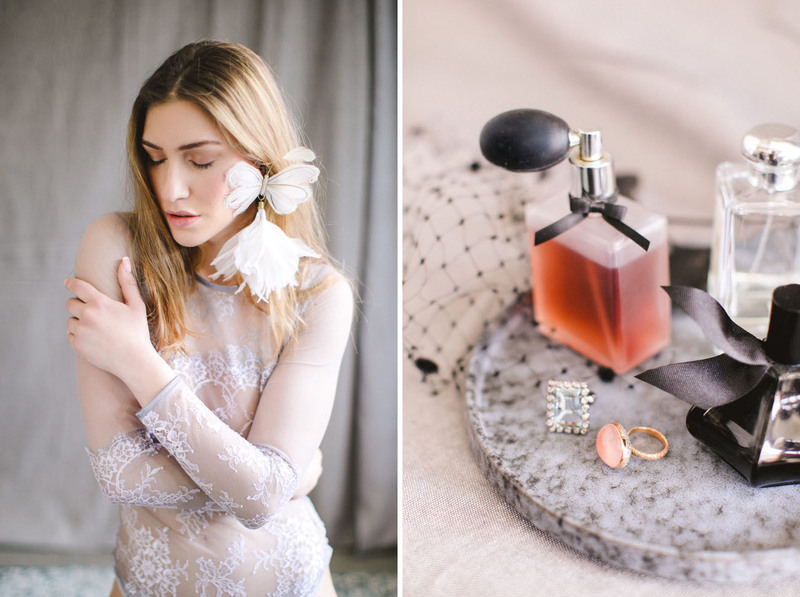 We think a fresh bottle of perfume is the perfect gift for a special occasion (and definitely the wedding day)! 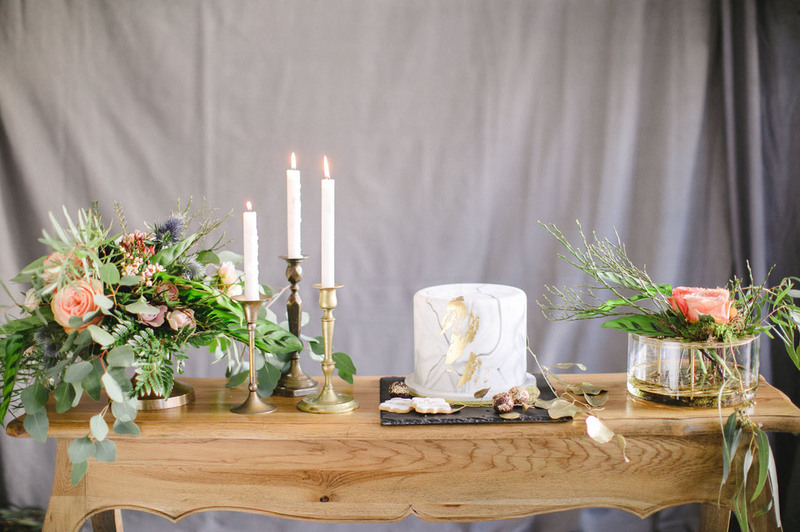 It’s such a pretty piece to photograph, and then every time you wear it after — you’ll be reminded of that special day! The bride is wearing jewels by Lito + shoes from Vassilis Zoulias. 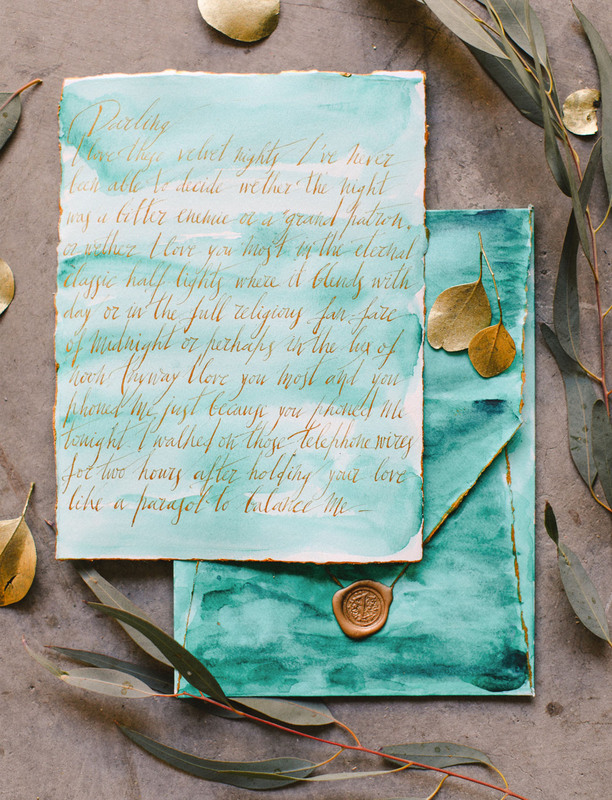 How pretty is this watercolor + calligraphy page by Mazi Chirography? Not only is it a sweet sentiment for the day, but it would make for a darling framed piece after! 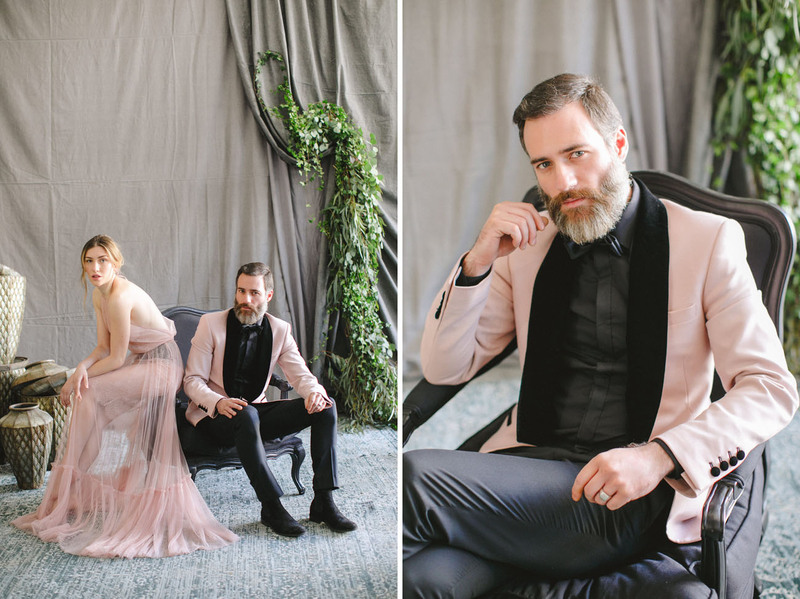 We LOVE a daring man that can pull of a blush pink suit! This one is from Dimitris Petrou. Serious WOAH. That lacy blush toned dress is by Dimitris Petrou. Want to completely change the mood of the room? 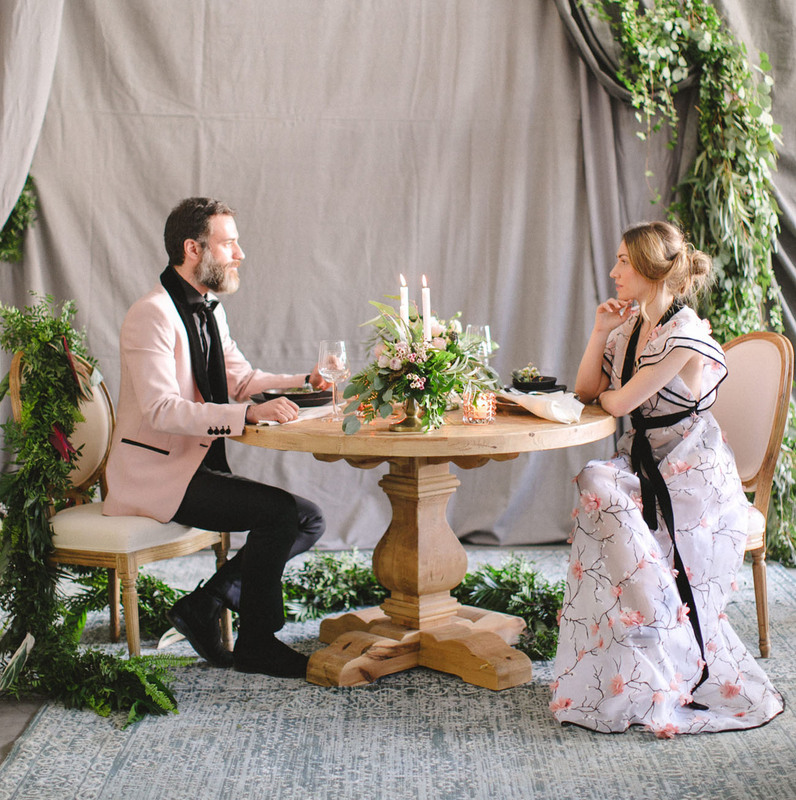 Hang + drape swaths of fabric to create a more intimate setting. 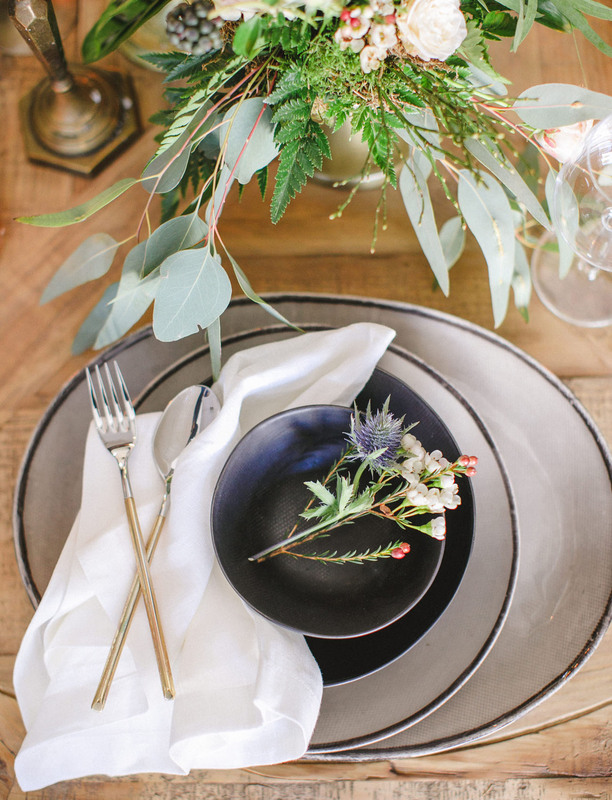 The table was decked out with pieces from Myran, while the furniture was provided by Zazoo. The way her hair falls… Frantzeska Koukoula crafted all the sweet + sensual hairstyles for the evening. A marble cake with touches of gold leaf by Sweet Enough? YES, PLEASE! So romantic, right? Happy Valentine’s Day to all you lovelies! These colors combination is so unique yet so pretty! Totally fell in love with the set.